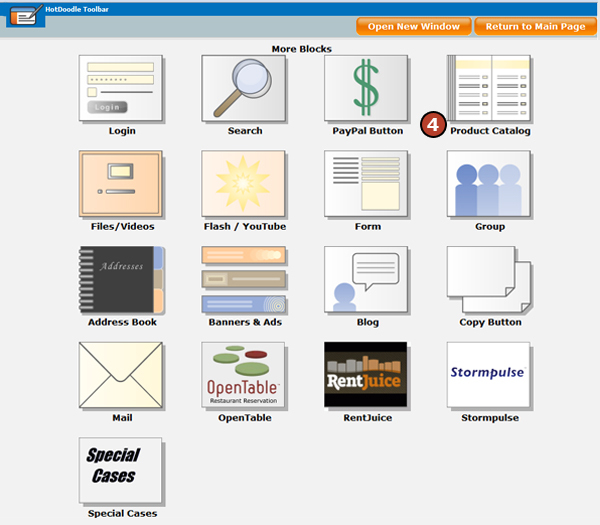 The Cart view in the Product Catalog Block displays the contents of the visitor's cart. The cart will appear empty if no items have been added to the cart. 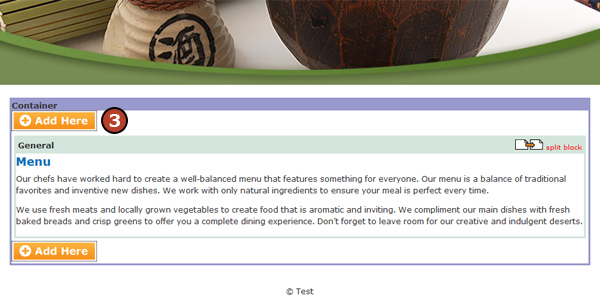 The cart will not appear at all if a Default and Gallery view of the Product Catalog does not exist on the website. 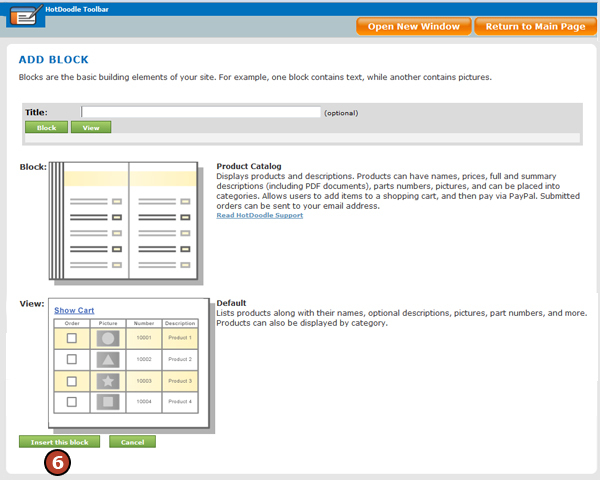 The cart view of the Product Catalog Block is universal and will show any item selected from any product catalog on the website, no mirroring necessary. The cart view can be used when the cart at the bottom of a product catalog is supressed in favor of placing the cart in another location on the website. The cart view of the block is useful to add on its own page when creating a page that only shows the items in the cart with possibly a My Cart link in the header or sidebar. 3. On the webpage, click on the "Add Here" button where the Product Catalog cart will display. 4. Click on the "Product Catalog" Block. 5. Click on the block "Cart" view.